After a year’s hiatus, the Race Around the Lake GP (RATL) returned better than ever with sponsors PRP Seats, O’Neal Racing, N-Style, Matrix, 212 Gloves, Power Lift Stands, Sports Academy, MB2 Karting, Tactix and I-Sea Sunglasses. 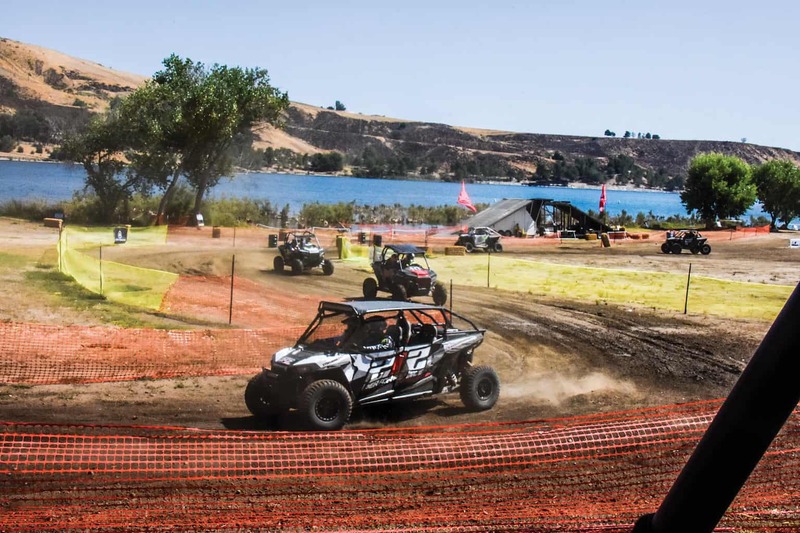 Southern California’s Lake Castaic Recreation Area opened up the state park’s lower lake to a family-friendly weekend of racing UTVs, ATVs and dirt bikes around a two-mile course, including beach sand, loamy forest soils, asphalt parking lots, cement sidewalks, grass track and hilly canyon sections. There was also a motocross section with tabletops and jumps and fast straightaways. Several vendors were on hand to prep and fix machines, test athletic skills and feed the masses. After a sight-in lap, the celebrity/media racers started 30 seconds apart at the Race Around the Lake UTV GP held at Castaic, California. The course was 2.5 miles long with a wide variety of terrain and turns. Brand X pitches a Turbo RZR into the last beach turn; a moment later, he ripped a lower A-arm off of the car on the root-infested uphill. 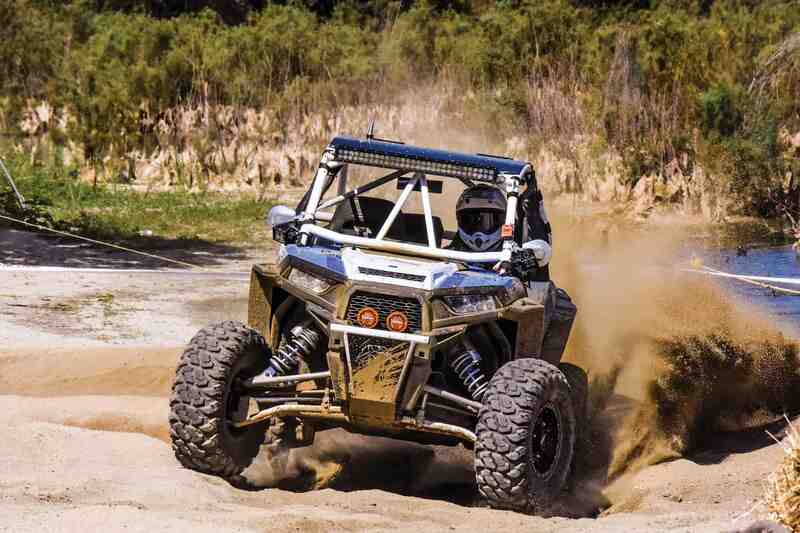 Three days of UTV and dirt bike racing were only part of the fun, as the park was opened for camping and grilling. 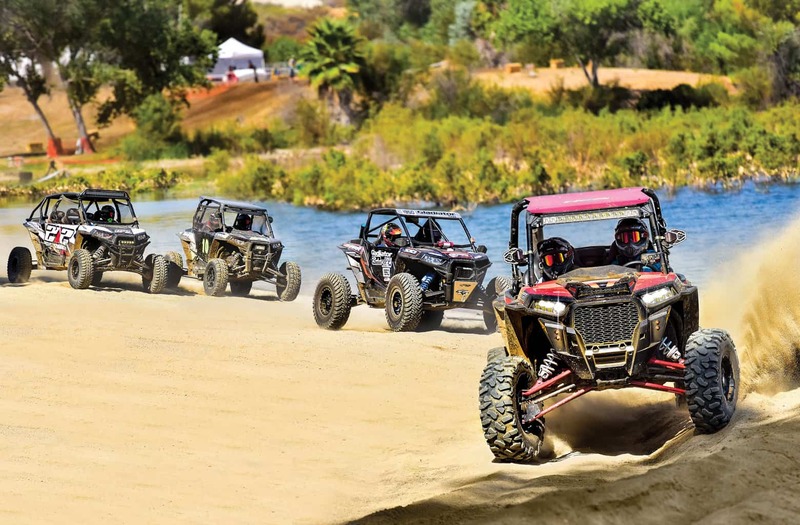 Each day featured a Celebrity/Media UTV race, where teams competed for the win and bragging rights. Celebrities included Godsmack’s bass player Robbie Merrill, When in Rome’s original lead singer Clive Farrington, pro wakeboarder Cobe Mikavich, former MLB shortstop and actor Royce Clayton, extreme-sport filmmaker Paul Taublieb, “Saved by the Bell” star Mark-Paul Gosselaar, X-Games gold medalist Burt Jenner and Olympic gold medalist-turned-author Caitlyn Jenner. A media member was teamed up with a celebrity, with each driving half the race. Mark-Paul Gosselaar likes to drive fast cars, dirt bikes and track cycling when he’s not acting for television or the big screen. 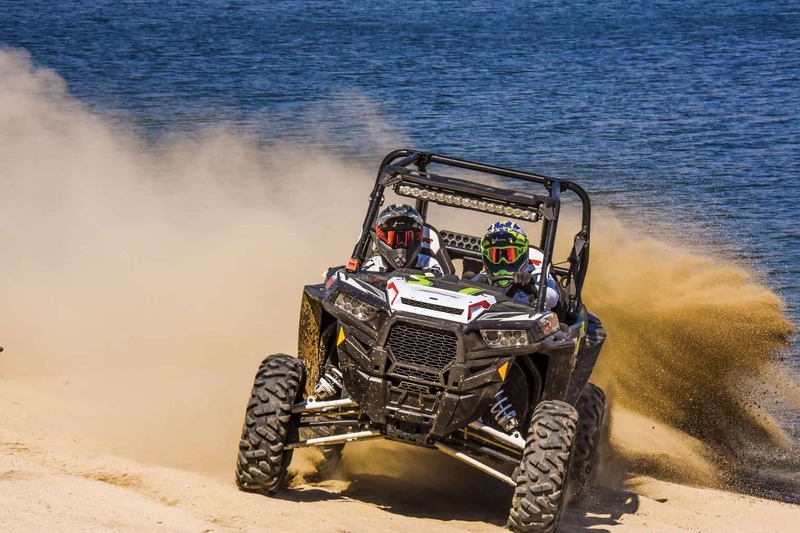 Four-seat UTVs had a disadvantage in the many tight turns and a slight advantage on the beach sand whoops. 212 Performance Gloves was a Race Around the Lake sponsor and vendor. 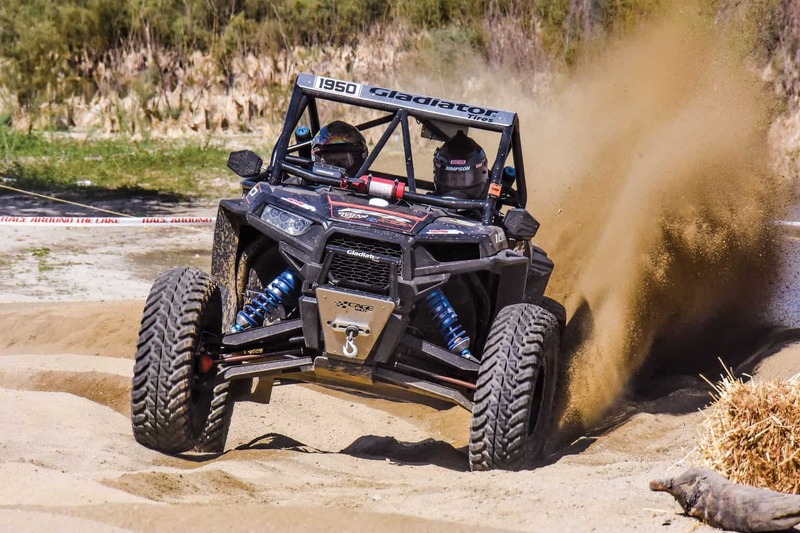 Although a little tight for UTVs, the 2017 Race Around the Lake GP course was an absolute blast to drive, with high-speed sections connected with twisty ones for great variety, and the weather was perfect. 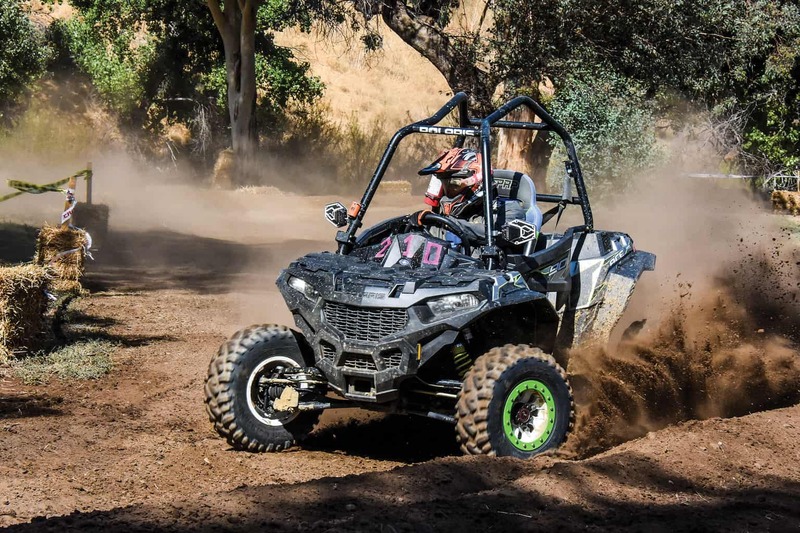 While high-horsepower turbos had the advantage on fast sections, UTV Action’s Lumpy chose the narrow and good power-to-weight ratio of the Polaris RZR S 1000, while Dirt Wheels’ Collin Duffy chose the Polaris Ace 900 XC. 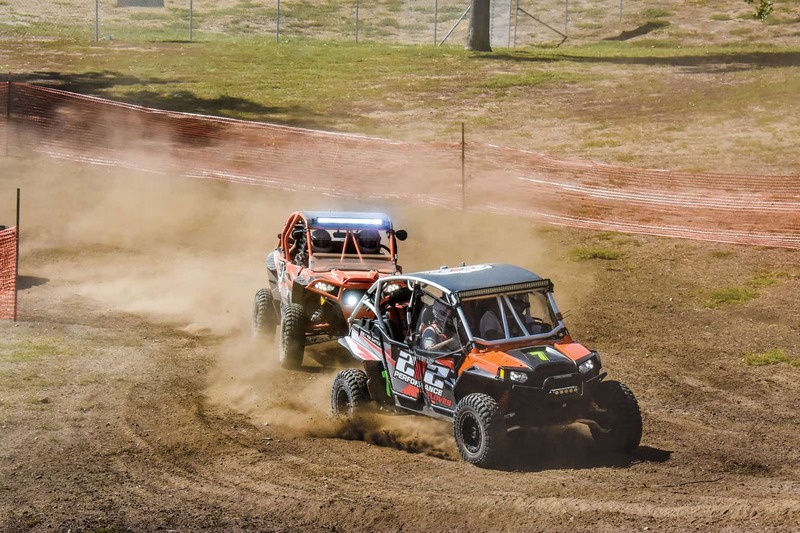 Duffy and partner were second behind Burt Jenner on Saturday, and they set the fastest lap time on Sunday before his partner crashed out. Lumpy and Clive Farrington were third. Best yet, new park management were stoked with the family-friendly event and good racing, so keep an eye on www.racearoundthelakegp.com for 2018 dates and new activities. For example, Robbie Maddison was supposed to ride his aqua-bike across the lake but had a scheduling conflict. He vows to return to RATL.